Hello everyone! I had another busy weekend; I went to the cape with friends and my boyfriend, then to the Zac Brown Band concert at Fenway! I can’t believe tomorrow will be July. Time is flying! 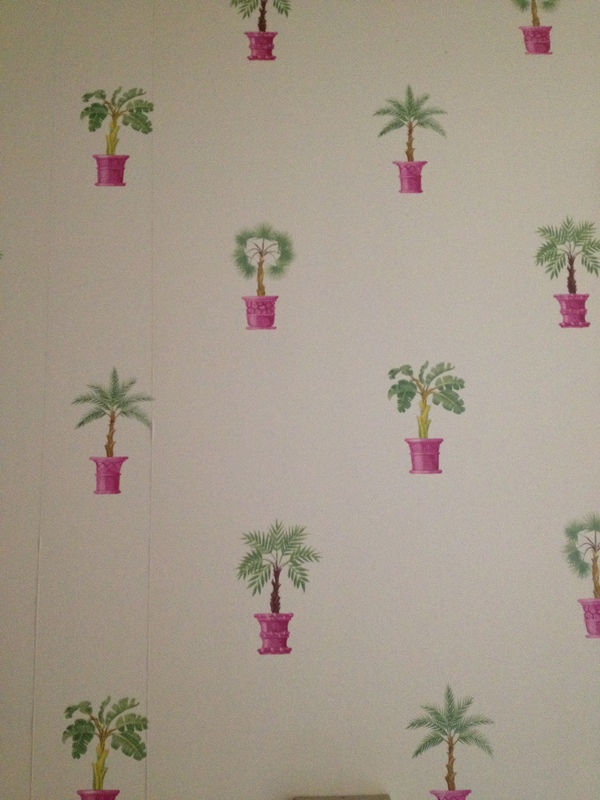 Wallpaper at my hotel on the cape…need this in my future home! Last week was pretty busy, so I needed something quick and easy to make for dinner. 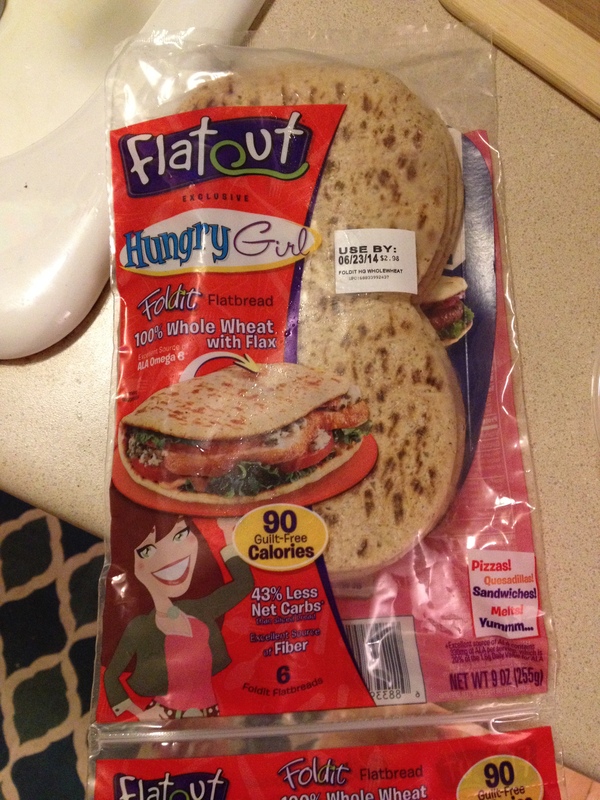 I bought these flatbreads at Wal-Mart and they made the perfect quick dinner! 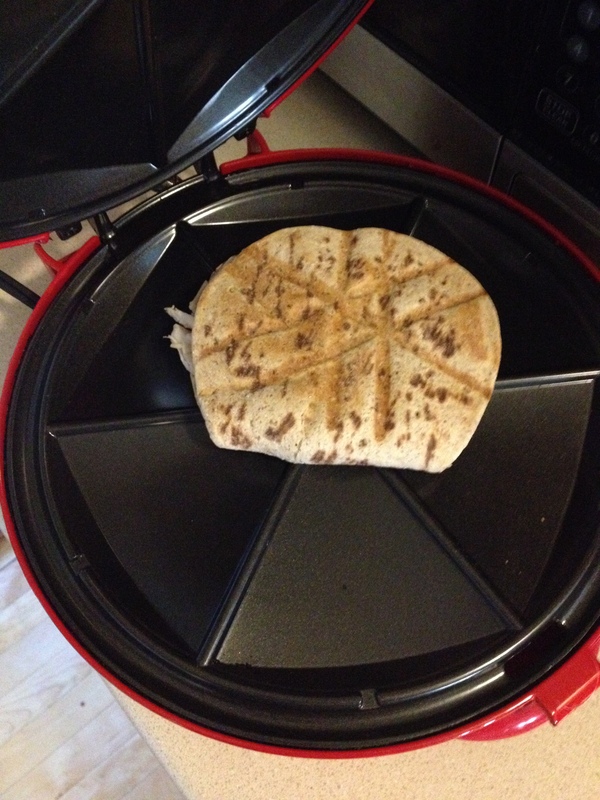 You can make pizzas, paninis, sandwiches…so many options! 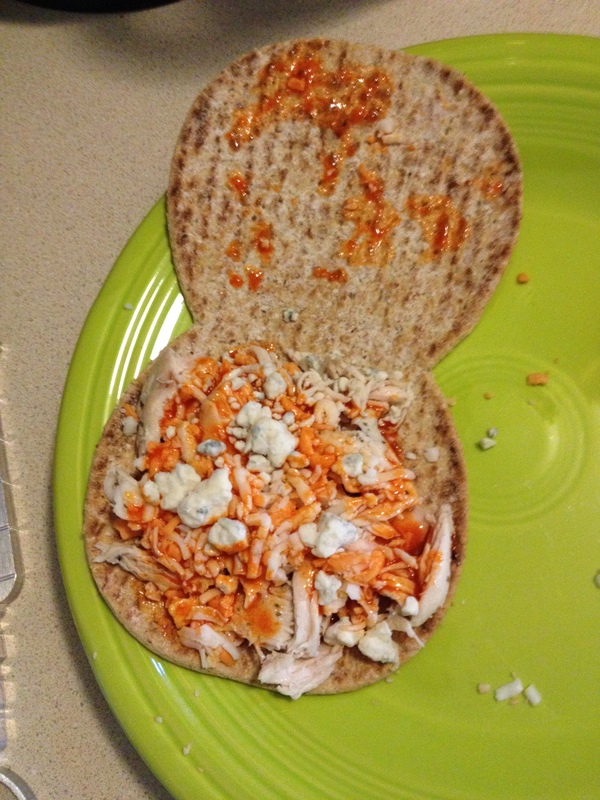 I decided to make buffalo chicken paninis with them…I cooked some chicken breasts, shredded them, and threw it in a flatbread with buffalo sauce, soy cheese and reduced fat blue cheese crumbles. 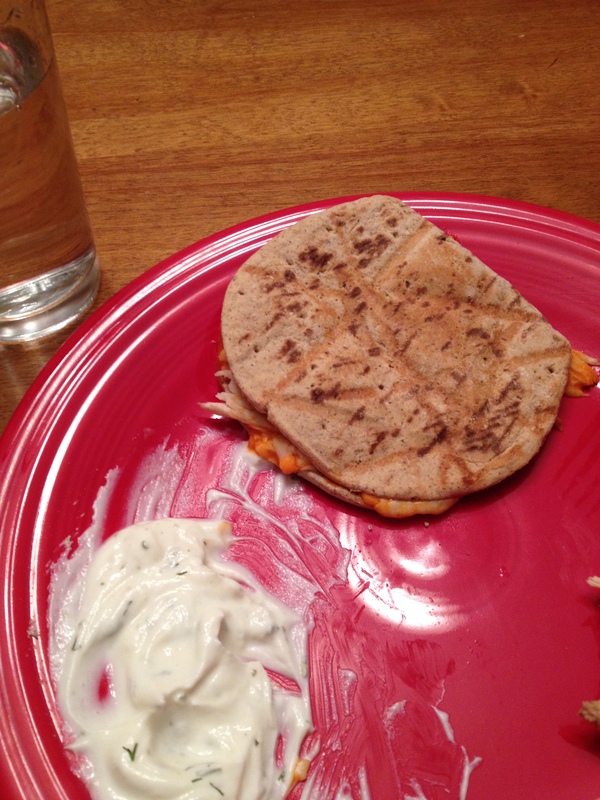 Grilled them in my quesadilla maker (you could also use the stove top or a George Foreman grill) and they were ready! I made a side of Ranch dipping sauce, which was just plain Greek yogurt with ranch dip mix and dill flakes. Voila!